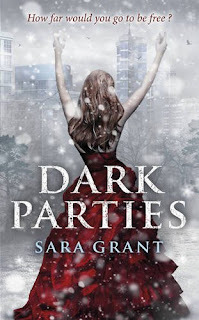 The fifth author to join us from The Edge blog is Sara Grant, who will debut in October with her first book - Dark Parties which I reviewed yesterday. If you would like to know more about The Edge blog, then please click here. I worked in public relations in the United States for nearly fifteen years. When I moved to London, I earned a master’s in creative and life writing at Goldsmiths College and completely changed careers. Now I work part-time as a senior commissioning editor for Working Partners (www.workingpartnersltd.co.uk) – a company that creates series fiction for kids. We are sort of think tank for stories. We come up with the ideas, brainstorm the storylines and hire writers to bring the stories to life. How long did it take you to write your debut novel ‘Dark Parties’? I started playing with the ideas that would become Dark Parties in 2007. It started as a short story, which I submitted to the SCBWI British Isles (www.scbwi.org) Undiscovered Voices anthology (www.undiscoveredvoices.com). I let my friend and fellow editor Sara O’Connor and my niece Megan read it. They both wanted to know what happened next and encouraged me to write the rest of Neva’s story. I told myself that if my story was selected, then I would write the novel. And, luckily it was included in the 2008 anthology. I spent the next year writing and revising it and I kept right on writing and revising and re-imagining it until it went to proof reading at my publishers in 2010. I’d just moved to London from Indianapolis, Indiana. I was immersed in the paperwork of immigration and uncovering news stories on both side of the Atlantic about who and how many should be allowed to enter a country. That got me thinking....what if a country closed its borders to people and ideas? This question led to more questions of national and personal identity. You don’t have to look far to see countries, cities and individuals questioning how to maintain their cultural identity in a global society. What does it mean to be American or British when the cultural make up of your country is changing? I definitely believe that diversity of cultures and ideas makes a country stronger. Dark Parties was my way to explore all these issues. I also think Dark Parties was influenced by growing up in a small town where it often felt as if I was living in a fish bowl. Everyone knew everyone else – which has many benefits but if you are a teenager, it makes it next to impossible to rebel. I understand that you are co-creator and co-editor of Undiscovered Voices, an anthology to help fresh new writers find agents and publishers. Sara O’Connor and I cooked up the idea. We worked with SCBWI British Isles and Working Partners to make it happen. I’m very proud of this initiative. We are hard at work our third UNDISCOVERED VOICEDS anthology (www.undiscoveredvoices.com) to help unagented and unpublished members ‘get discovered’. From the first two UNDISCOVERED VOICES anthologies, 13 of the 24 selected authors have had their novels contracted for publication and most have signed with agents. It’s how I got my agent and ultimately my book deals so I want to continue to help other writers achieve their dreams of publication. Did you find your agent through the 2008 anthology? Yes. My agent received a copy of the anthology and asked me to come in and meet with her. From that very first meeting, I knew she was the perfect agent for me. She really understood Dark Parties and had some great insights and suggestions. She’s passionate about children’s literature, and she’s a true partner in my writing process. I first met my agent in April 2008. We worked through two rounds of editing – one significant and one more nit-picky. There were several face-to-face meetings and some phone calls, too. She submitted my manuscript to publishers in March 2009 and sold Dark Parties to Little, Brown that July. I didn’t believe it. I remember very clearly the moment I found out I was going to get my first offer. My agent sent me an email. I read it, but – and this is true – thought I must be misreading it (or dreaming) because it said I was going to get an offer from Little, Brown. LITTLE, BROWN. It was nearly two years from the time I received the offer to publication. My book actually came out first in Germany in March. It was published in the US in August and will be published later this year in the UK. I received editorial feedback from my US editor so I was revising the manuscript between September 2009 and May 2010. Then in went through a few rounds of copy-editing and then proof-reading. I felt that my manuscript was given such great care and attention. When Orion bought Dark Parties, I agreed to another round of revisions. My Orion editor had some suggests for how she’d like to tweak the book. I was happy to work with her. In between revisions, I started and sold my second book. I’ve been writing and revising my second book – titled Half Lives – off and one ever sense Little, Brown accepted Dark Parties for publication. For the last few months, I’ve been trying to do as much publicity as possible. I was invited to the Leipzig Bookfair to launch my book in Germany. It’s been such an exciting year. I can’t wait for the book to be out in the UK and celebrate with my family and friends! It will be amazing to walk into bookstores and see it on the shelves. I’m planning a launch party sometime around the publication day. I don’t have final details, but any and all are welcome! I was thinking about hosting a party in the pitch black – but that might make book signing a bit difficult. Your book is about to be published as part of the Orion’s new imprint ‘Indigo’, alongside such authors as Marcus Sedgwick and Cliff McNish, how does that make you feel? Um – A-MAZ-ING. It is such an honour to be on Orion’s inaugural list – and then to be alongside such phenomenal writers is really – prepare for a cliché – beyond my wildest dreams. Cliché or not – it’s oh-so true. Half Lives chronicles the journey of two unlikely heroes – Icie and Beckett. Both struggle to keep themselves alive and protect future generations from the terrible fate that awaits any who dare to climb the mountain. Even though they live hundreds of years apart, Icie and Beckett’s lives are mysteriously linked. Half Lives is a race against time and the battle to save future generations. It’s about the nature of faith and power of miscommunication – and above all the strength of the human spirit to adapt and survive. No. I work part-time for Working Partners. I’m really fortunate to work with such an amazing team of editors and writers. It’s like an ongoing creative writing tutorial. It varies greatly. I work part time so on my writing days, I am usually up and writing by 8 a.m. I’m a morning person and love to dive in. I like to write for a few hours and then take a break to run or go to the gym (yeah, all right, or watch mindless television) and then write a few hours in the afternoon. If a deadline is imminent, then I often don’t even take time to shower. I love to write on trains, in coffee shops, at the Southbank Centre, anywhere really. I find that a change of scenery often helps shake up my thinking and also prevents me from flipping on the TV, checking email or finishing whatever book I’m reading. Read. Read. Read. Read broadly for the age group for which you are trying to write. Read the classics but also keep up with what’s on bookstore shelves right now. One of my Goldsmiths tutors said that all the teachers I’d ever need can be found in the pages of great books. Learn from the current masters of fiction. I like to dissect books that I admire and try to figure out why they work and why I love them so much. Don’t be afraid to experiment with different styles and genres. I found writing can be a bit like singing karaoke. Sometimes the songs you love aren’t right for your voice and range. Be obsessed by your story. If you get published, you will be working on this story for years and will be connected to it for the rest of your life. Love your story and characters. Write a story that will continue to intrigue you. But most importantly...believe in your work and never stop learning and improving and writing and rewriting. Thank you Sara for some fabulous answers. Dark Parties will be coming to a book shop near you very soon! 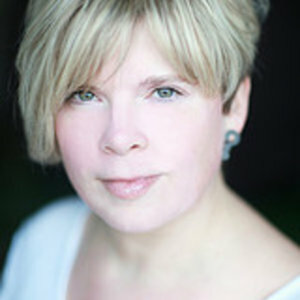 To find out more about Sarah, visit her website here. Or you can also follow her on Twitter at @AuthorSaraGrant.